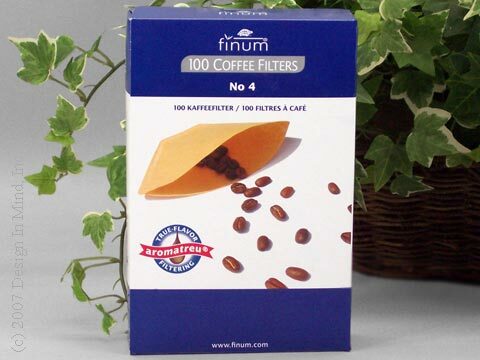 Finum Coffee Filters are available in both disposable paper filters and in a reusable, easy to clean, permanent filter. finum COFFEE STAR No. 4 permanent filter with goldtone stainless-steel mesh. Easy clean in dishwasher or under faucet. 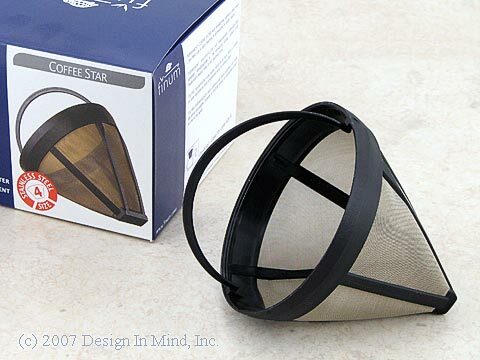 Finum #4 cone style coffee filters. True-Flavor Filtering. Made of unbleached brown coffee filter paper - without glue or any type of binding agent. Fits 8-12 cup coffee makers. 100 filters per box.